How can we save our sales teams more time, so they can focus on achieving goals? That’s the million dollar question, isn’t it? 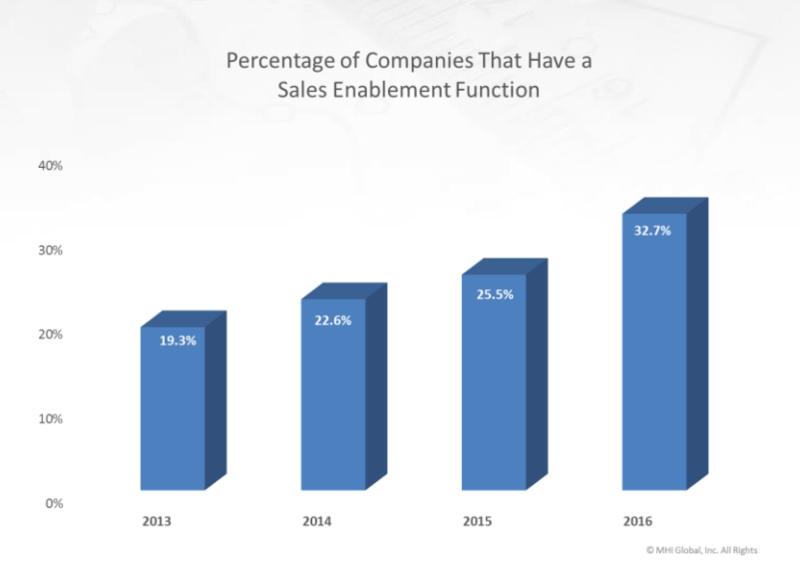 The rising adoption of sales enablement tools over the past few years supports this focus area for businesses. It was only a matter of time before SaaS technology vendors met that demand. Now organizations know they have a problem to fix—but there are numerous decisions that need to be made to find the the right sales stack to help their sales teams succeed. One of the biggest obstacles for sales teams to overcome involves their longtime manual process of responding to Requests for Proposals (RFPs). And, how to improve their approach to optimize their efforts. At RFPIO the most popular question we hear from users evaluating our RFP management solution is this: How well does the search function perform? It’s an understandable request, since this is the exact area we see teams struggling with on a daily basis, hunting through spreadsheets, docs, folders, and emails for responses. Unlike with RFP software, locating and prioritizing keywords in a Word doc is difficult. 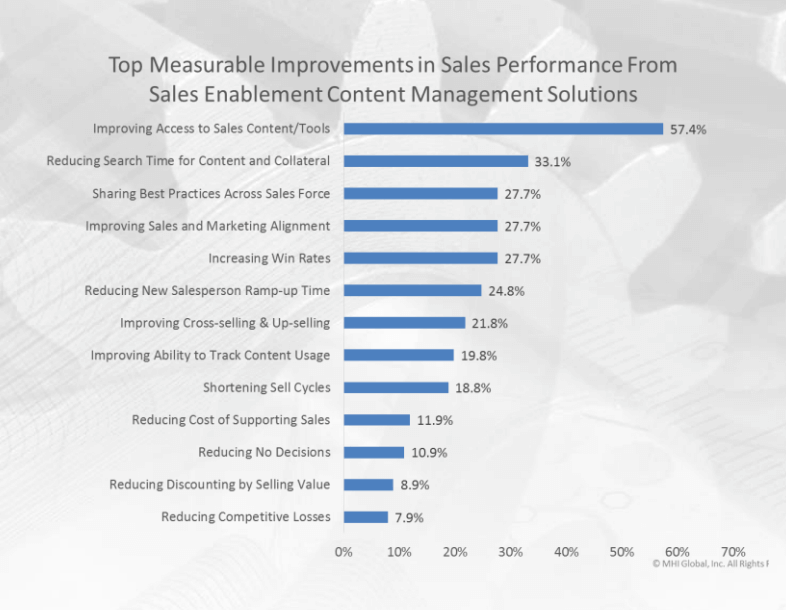 In this CSO Insights Sales Enablement Optimization Study, reducing search time for sales content was one of the top measurable improvements at 33%, just behind improving access at 57%. We hear time and time again that this manual process often equates to 40 hours spent on a single RFP response. And, much of that time is spent on a manual search. Whether you are evaluating RFP software vendors or you’re just curious about a quicker way to respond to RFPs, knowing a little bit about how intelligent search works can illustrate the importance of search optimization with your RFP process. This search technology shows the ranking of responses in descending order. When you have multiple keywords, such as “technical” and “architecture,” you can end up with several combinations. Using a combination search, ranking will scout your solution’s RFP answer library for both words, then provide the best option at that top that is closest to your answer. If you take a substantial paragraph from a proposal, these words might be in different places. Phrase search automatically pulls these words together to make sense of the data and provide the best answer. If you wanted to search for “correspond” manually, you would see the same word multiple times throughout a document without variations. With stemming technology, you can get “correspondent” and “corresponding” in addition to “correspond,” which makes the search more robust than you can experience in any typical document. If you want to locate “saas” and “application” in relationship to one another, proximity search makes this possible. If there are too many words in between the searched keywords, the response would not show up. By making sure these two words are present in the doc—and no more than 5 words away from each other—you can target a specific section easier for an efficient, high-quality response. When you search historical responses by question or answer and you can include a category or tag, faceted/filter search will help you get the best RFP response. This concept can also be applied to project names, so you can search through twenty projects, but have sections with results for 1-3 projects. Take a look at Amazon, and depending on search results, they will show numbers for each category. In an RFP solution, you can click and drill down to go to the most accurate one—such as by date or owner. With rating search, for every response that comes up from other search filters, you can get rating systems that learn from your actions. Anything with a higher rating will get a boost, showing up higher the next time you search for a similar response. This machine learning technology for RFP responses is up-and-coming (and very exciting) as it improves based on recommendations over time, with no extra effort required from the user. We hope you walked away today with some useful nuggets about RFP intelligent search to help you find a solution that meets your needs—or shed some light on a new approach that trumps the manual process with time savings rewards alone. How much time could you save with intelligent search of RFP responses? Try out the ROI calculator to get a better idea! As the VP of Technology of RFPIO, Manish Bafna set out to change the manual RFP response process by creating an intelligent SaaS solution that would help businesses overcome inefficiencies. An experienced technical architect of products implemented at Fortune 500 companies, Manish excels at building complete software, and has worked extensively on Machine Learning and full text search engines. When he was a technical Product Manager, he received countless repetitive RFP questions related to technology from his sales engineers. This hands-on experience with an outdated approach to RFPs inspired him to help find a more innovative way for businesses to operate. Connect with Manish on LinkedIn.